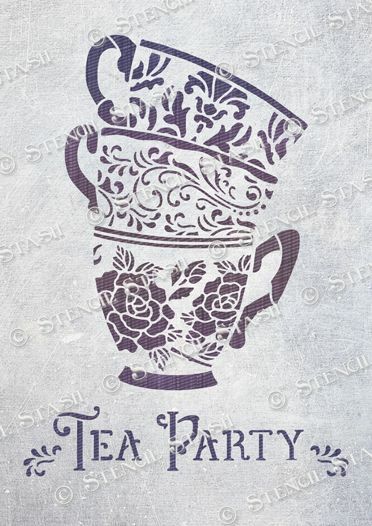 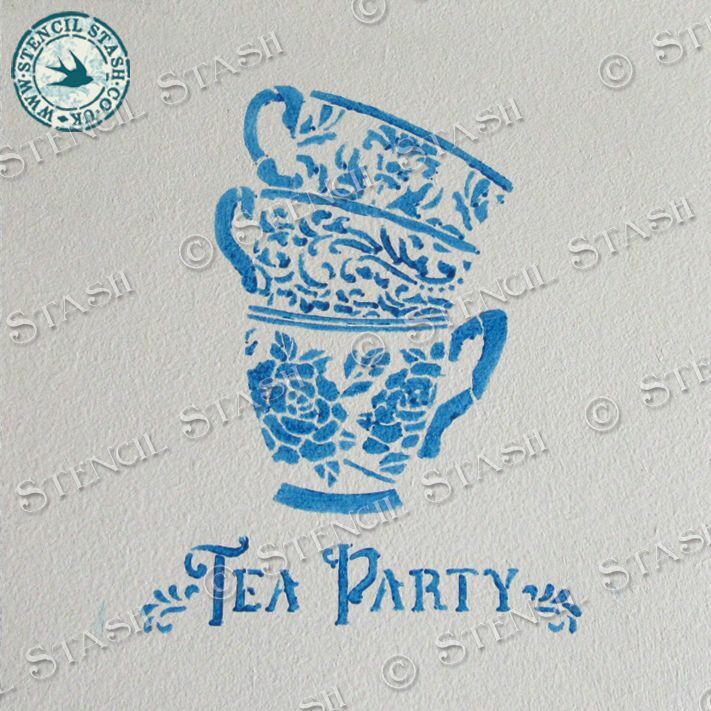 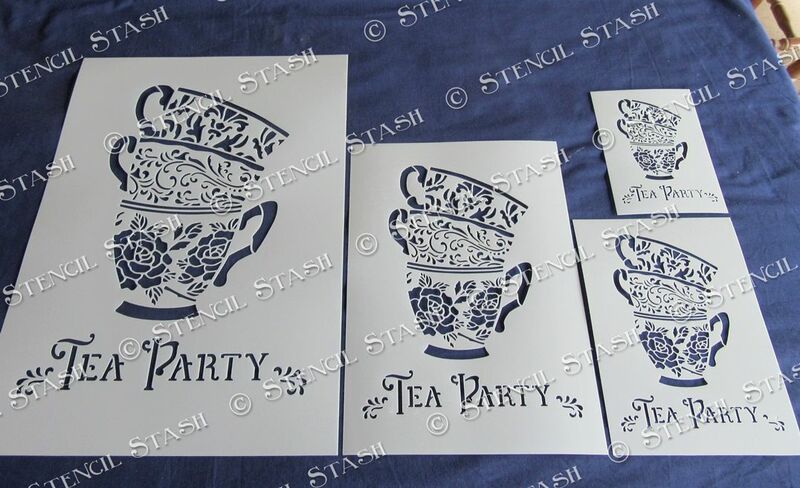 A beautifully detailed stencil with a pretty set of cups and text. 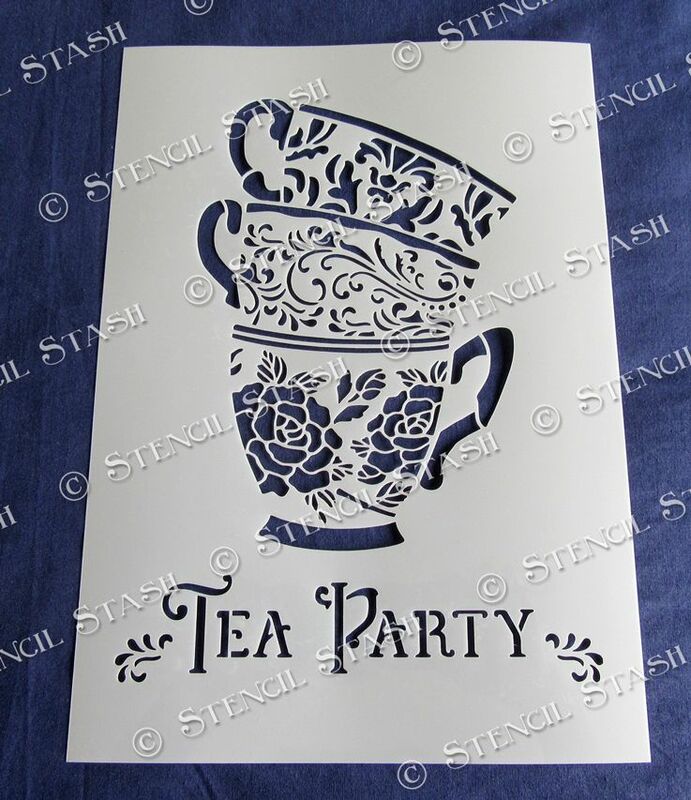 Perfect for home decor, furniture, walls and crafts. A6 design measures w95 x h130mm, 3.75x5"
A5 design measures w135 x h185mm, 5.5x7"
A4 design measures w185 x h255mm, 5.5x10"
A3 design measures w250 x h350mm, 10x14"